Elder abuse is the mistreatment or neglect of an elderly person, usually by a relative or other caregiver. Elder abuse is very common and most cases go unreported. Many victims are ashamed or unable to report abuse or fearful of reprisal if they do. It may include physical violence, threats of assault, verbal abuse, financial exploitation, emotional abuse, neglect and violation of an elderly person's rights. Elder abuse is a national disgrace. The home should be a place of comfort, not a source of punishment and fear. Victims of Elder Abuse are most likely to be over the age of 75, women, dependant on the abuser and suffering from a mental or physical illness. The typical victim lives with a family member and depends on the relative for daily care. The abusers are usually their family members who are acting as caregivers. The abusers may be suffering from stress, alcohol and drug problems, emotional problems and dependency. Elders may be allowed to live in unsanitary conditions or unventilated, poorly heated rooms. Over medicating or withholding aids such as eyeglasses, dentures, etc., constitutes abuse, too. Victims may be unfairly confined or forced out of the home. Behavior may be strictly controlled. Why does elder abuse happen?. Resentment Caring for an elderly parent can be exhausting, especially if the caregivers have their own children. Resentment can build, which may lead to abuse. Longer Life Spans Because people live longer today, there are more elderly people in our society. Many depend on family members for longer periods. Retaliation Some experts think that abusers are getting back at their parents for past mistreatment or are acting out unresolved emotions such as resentments and anger. Attitudes toward violence All too often, violence is seen as an acceptable way to solve problems. Lack of services Without needed health and social services in the community, caregivers may be unable to handle the responsibility of caring for an aged parent. Life crisis Living with an elderly parent can cause severe stress, especially if family members are coping with major personal problems or are suffering from drug problems. Lack of love and friendship Often, a dependent parent returns to his or her family after being away for many years. When a sense of closeness is missing, abuse may follow. No money Many families are on limited or fixed incomes. Alternatively, a relative or caregiver may depend on the elder for money. Both situations may lead to abuse. 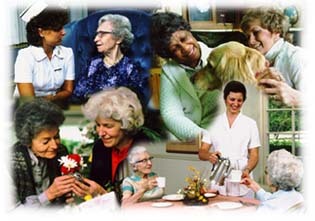 Social problems Unemployment, poor or crowded housing or other living conditions may contribute to elder abuse. Studies show that elder abuse is a recurring event in abusive families. Here are some possible reasons why it continues. Denial - Some seniors refuse to accept the fact that their loved ones are abusing them. Physical/mental Illness: Elders who have physical or mental illnesses must overcome special obstacles to stop abuse. Lack of Services: Temporary shelters, respite care facilities and other protective services for elderly people may be lacking. Fear and Shame: Elders may be afraid of retaliation or be too ashamed or embarrassed to take action. Some may wish to protect their family out of love. Abusers may fear what will happen if they seek help. Lack of Awareness: Elderly people may not be aware of the professional agencies available to help them. Abusers may not know that, with proper treatment, they can learn to express their feeling in positive ways. Isolation: Elders who have little or no contact with people outside the home may find it especially hard to escape abuse. Talk out problems if you are experiencing conflict with family members or elderly relatives. Plan free time to do something you enjoy each day. Seek assistance from friends and family members when you need it. Join a support group for care providers. Contact organizations that provide elder abuse and protective services. Be a friend to an elderly person. Help provide transportation, home repair and your sympathy and understanding. Report suspected cases of elder abuse to social service agencies or the police. Plan for the possibility of disability by seeking out an attorney, possibly one who specializes in probate law, who can advise you about powers of attorney, guardianships or conservatorships, natural death acts and "living wills." Consider nominating co-conservators or co-guardians so more than one person knows your affairs and can take action if something goes amiss in the administration of your assets or personal care. Make a will and review it annually, but do not revise it lightly. Be wary about deeding your house or willing your house or other assets to anyone who promises to "keep you out of a nursing home" or take care of you "at home" if you become disabled. Be careful when asked to sign anything. Go the extra step and have someone you trust review the document. Be sure you are thoroughly familiar with your financial status and know how to handle your assets. This is particularly important for older women, who are especially vulnerable to abuse. Arrange for direct deposit of your Social Security check or any other regular payments. Do not rely solely on family for your social life or for care if you have health problems. Continually cultivate friends of all ages so there are always people around who are concerned about you. If an adult child, particularly one, who has led a troubled life, wants to return home to live with you, think it over carefully. Be especially careful if your family has a history of violent behavior or drug/alcohol abuse. Instead, consider supporting the child in his or her own apartment. If there has been alienation from family or friends, make peace to the extent possible-not only because it is a healing thing to do, but because it creates a climate of concern for you.